They are effective and efficient for functional training. Kettlebells work your entire body as a whole and utilize several muscles groups which must work together. Most machines and certain weight training exercises only work individual muscles. Kettlebells increase your work capacity or more simply how much work your body can do. Kettlebells allow you to build more muscle, gain strength, and burn more calories. Kettlebells can improve your cardiovascular fitness, which is the ability of your heart and lungs to supply oxygen to the working muscles and the muscles ability to use the oxygen to produce energy for movement. Improved cardiovascular fitness leads to better performance, heavier lifting, faster running, better endurance, etc. Kettlebell training improves power or explosiveness which is essential for top athletes. Many of the kettlebell swings emphasize hip, glute, and core power which ultimately develops a rock solid foundation and base for any sport. Vastly improved grip strength is a hidden and underappreciated benefit of kettlebell training. How many of you fail at deadlifts because your grip gives out? I know I do. Because of the larger horns (the loop at the top of the kettlebell) you unknowingly tax and stress your grip more when working with kettlebells. Also the kettlebell swing movements require you to hold the kettlebells for extended periods of time and require you to combat the movement, friction, and every changing center of gravity. Kettlebells build stability by requiring you to use many stabilizer muscles, which improves coordination, balance, and joint strength. Kettlebell training can relieve stress on your lower back caused by weak glutes. When your glutes are weak a large portion of the work they should be doing is taken over by our lower backs. Kettlebells teach us to fire through the glutes and drive with our hips, which reduces stress on our lower backs. Kettlebell training strengthens our posterior chain, which can address poor posture and spinal instability allowing us to maintain a more neutral spine and reduce possible injury. Kettlebell training can also help you burn more fat due to the increase in EPOC, or excess post-exercise oxygen consumption. EPOC is the body’s response to the intensity of the activity and its desire to return to a normal state. The higher the intensity the greater the EPOC because more oxygen is needed to return to the normal state. Which is why training with heavy kettlebells is emphasized. Kettlebell training can develop your core strength to an impressive level. Almost every move engages your core and fires the abdominal wall like a Christmas tree. The unique offset center of gravity of kettlebells results in better mobility, stability, and strength in the shoulders. 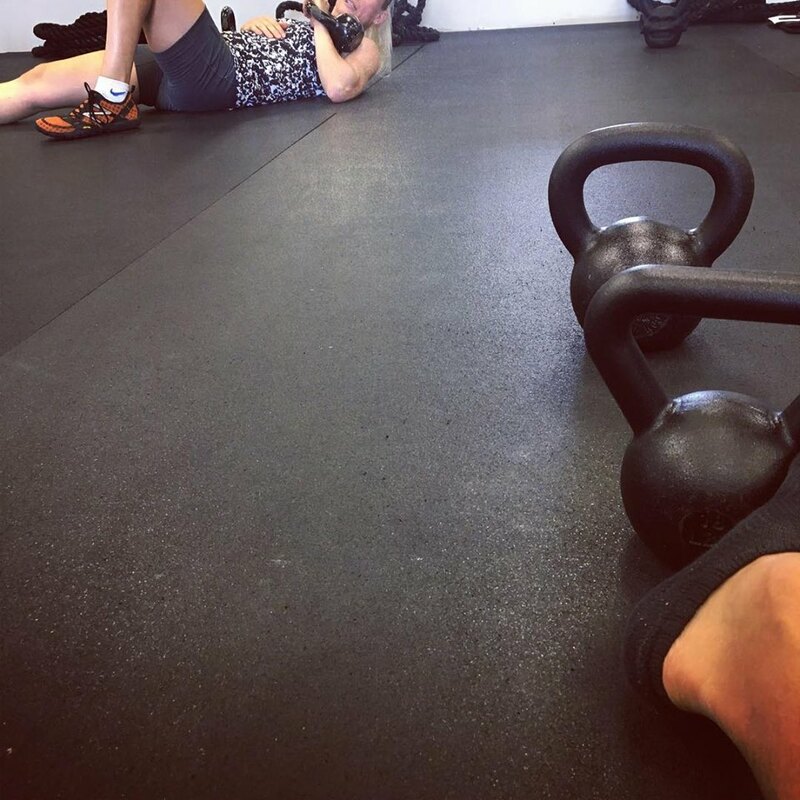 The acceleration/deceleration of the moving kettlebells strengthens connective tissues (tendons, ligaments, cartilage) and increases mobility, strength, and flexibility reducing the possibility of injury. The ballistic movements of kettlebells help us absorb shock and impacts more efficiently. These benefits are crucial for any type of sport, be it soccer, basketball, football, baseball, hockey, wrestling, boxing, skiing, etc. Kettlebells are super versatile and somewhat portable allowing you to train anywhere. They require additional mental focus on the movements, improving coordination. End result: perform tasks more efficiently, prevent injury, build strength, better mobility, burn fat, improve cardio. The Penguin Heel Reach is a commonly used exercise to target the obliques. Despite the cool name, it is not the most effective exercise and has some shortcomings. First, repeated lateral flexion of lumbar spine can really damage your facet joints. While they do have some mobility, the repetitive nature of this exercise could cause some irritation and low back pain. Second, the small range of motion during this exercise does not really lend itself to strengthening the obliques. So unless you particularly enjoy flailing around on the ground, here is a far better option. Technique: Set up with a band or cable attachment next to you. Grab on with two hands and position the cable or band at your chest. Once you are set, smoothly reach both hands out in front of your body. The farther your hands are from your chest, the more your core will need to work to keep your body stable. This exercise is an “anti-rotation” exercise, where your goal is to resist any kind of rotation. A pallof press is much safer for your back because there is not repetitive lateral flexion of your spine. If anyone has back pain and wants to improve your core strength, this is an excellent option to start with. In addition to being safe, this exercise will engage your internal obliques, external obliques, as well as your hips. Besides the muscular benefits, this exercise will teach you how to “brace” your core. With most core exercises, you will hear to “brace” your core, or you “engage” your abs, but what does that really mean? When performing this exercise, your body will naturally brace in order to not be pulled toward the weight. I prefer using a band for this exercise because the tension will vary throughout the range of motion, which really reinforces what it means to brace your core. When progressing exercises, most people will add more weight, more repetitions, and more sets. However, one of the real secrets to constantly progressing is to progress the movement, not to just add repetitions or more weight. To progress this exercise, use a split-stance. By decreasing the base of support, you are increasing the demands of your external oblique on the side away from the weight, as well as your hips on the side toward the weight. If you feel yourself being bent sideways like a banana peel, lower the weight or step closer to the band! Channing is a Certified Exercise Physiologist through the American College of Sports Medicine. 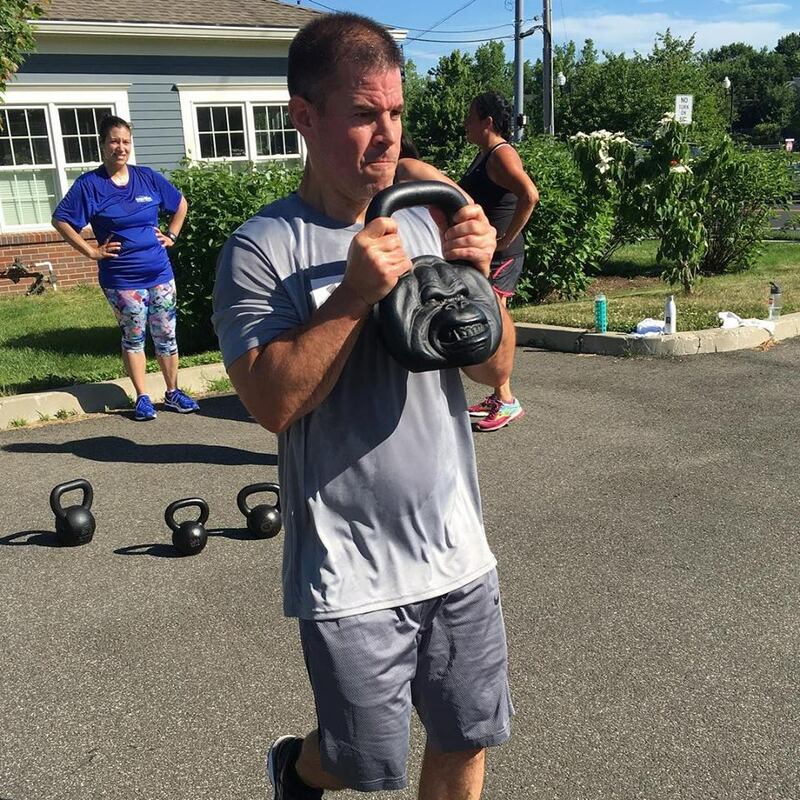 Channing received his degree from Central Connecticut State University in Exercise Science in 2013, and is currently pursuing his Doctorate of Physical Therapy from the University of Hartford. His interest in the fitness and wellness field began when he was an athlete at Xavier High School. Channing focuses on fat loss through strength training and fat loss programming, Channing also specializes in injury prevention and performance training. ﻿In this article (found on health.com), you'll find the motivation you need to kickstart your week with a healthy dose of exercise. One of the benefits of Monday workouts is that you may sleep better! Check out the full list here.